Watch a short part of Pastor Jay’s testimony. A Merry Christmas and Happy New Year to all our friends and supporters. View the Christmas Newsletter here. 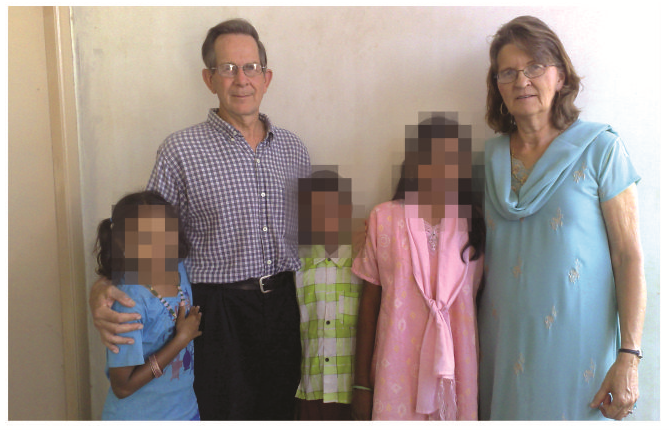 Our mission is to build, equip and fund a 350 bed hospital at the Indian Christian Mission Centre Orphanage in Salem, Tamil Nadu, India.St Patrick’s Mission Hospital aims to serve the needs of those who cannot afford medical help – especially local villagers, hill tribes and the children living at the orphanage. Well done and thank you to all who have donated – we have raised £250,000 and the building is complete. Now we need YOUR HELP to raise £150,000 to complete Phase Three – outfitting the interior electrics, plumbing, tiling, plastering and painting. View of part of the ICMC complex at the Promised Land. New canteen on left and boys hostel on right. We request your prayers for the Road to the Promised Land which will be called the “JERICHO ROAD”. Anybody who comes through the “Jericho Road” road will be blessed in the name of the Lord through our services to the orphans, imparting quality We need to buy a piece of land in the middle between the main road and the Promised land, So that we can have our own road and it will be much safer and secure for the children, students, staff, Dr.Jay’s family and our International visitors. By the Grace of God, the land owner is coming forward to negotiate and sell the land to ICMC after a long wait of 20 years. We request you to pray that God moves in the land owner’s heart to sell this piece of property to us in a reasonable & an affordable price. We also request you to please pray the Lord will give us with enough money to purchase this land that we badly need at this time. She doesn’t remember her mother dying, but she does her father. She also remembers him saying he’d love her to be a politician. So she’s going for it. She works so hard and has such amazing clarity of ambition and hope…. She has such a sense of the privilege of her education – she nearly didn’t have one. So we pray for Pryangaa, and all the children at the orphanage that their education would be full and varied, preparing them for life…. She’s at the orphanage to work because her husband is violent towards her. She looks after a group of young children, and her own two boys are housed in the boys’ hostel. The terrible truth of the matter is that Vanitha is doing this because the last lady, Vesenthi, is no longer at the orphanage. She’s no longer in this world. Her husband, also violent, burnt her to death with kerosene and killed himself in the process. I met Vasenthi’s newly orphaned son on my last visit…. We have three children affected with HIV. They contracted the disease at birth and have subsequently lost their parents. These children are taken to a government hospital in Salem city every month for routine check-up and the CD4 count. These children, apart from the routine diet, receive in addition egg, Multi-vitamin tablets, milk with protein powder every day, and Beef twice a week. Special attention is given to them regarding their food and their medication, with counselling given periodically. We are praying to Jesus, who made the lame walk, the blind see and the dead rise, that he will heal these lovely children. 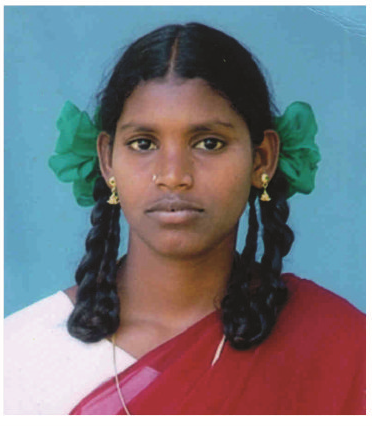 Sakunthala, a young girl at House of Peace orphanage suffered from Mitral Stenosis. A fatherless girl whose mother earns just a dollar a day, could not afford the necessary treatments. Dr Neva took her to a cardiologist in a private hospital in Salem. ECG, Echo and other preliminary tests were done. The cardiologist said that there are two options: an open heart surgery where a large scar would be obvious and the post operative period of about 10 days would be painful. This surgery was cheaper – US$700 – but could be fatal. The other option was Balloon Mitral Valvuloplasty where they reach the heart through the Femoral Vein and inflate a balloon where there is stenosis. This surgery is scar free and the post operative period of 1-2 days would be painless. However this surgery was costlier – US$ 2000. We prayed and said that God would provide money for this girl so told the cardiologist that we would opt for the Balloon Mitral Valvuloplasty. Supporters from the US came forward to support the surgery. Sakunthala is now fine and happy with no more distress. She is currently on Infective Endocarditic prophylaxis and anti-coagulant medication which she will continue all her life.